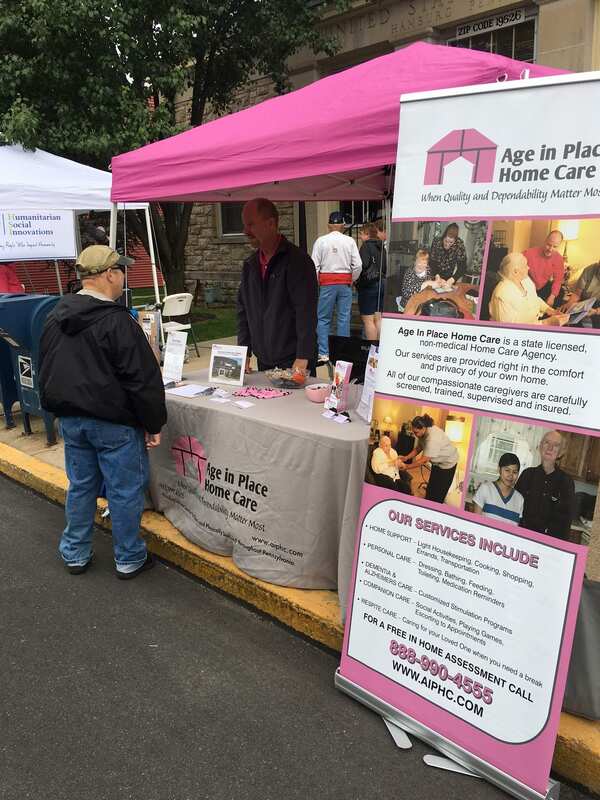 Age in Place Home Care participated in the Taste of Hamburg-er Festival on Saturday, September 2nd, 2017. This marks the 5th year that Age in Place has worked the festival providing information about the services we offer to both the elderly as well as the physically disabled. Mother Nature was not as kind this year as there were on and off rain showers throughout the day. That being said, the event was still very well attended with over 35,000 – 40,000 in attendance. A good time was had by all that attended!